NEIGHBOUR Day celebrations across the City of Kwinana will kick off Friday night with a pot luck event in Wellard. 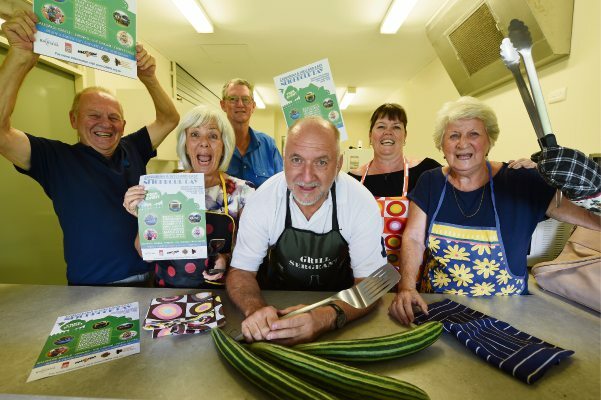 An initiative of Relationships Australia, Neighbour Day aims to combat loneliness and social isolation by encouraging people to connect with those living nearby. Relationships Australia national executive officer Nick Tebbey said social connections were important for our health. “Latest research shows that one in 10 people lack social support or connection and one in six are experiencing emotional loneliness,” Mr Tebbey said. The City of Kwinana is one of five WA councils to be acknowledged as a Very Neighbourly Organisations and Mayor Carol Adams once again encouraged people to make new connections by participating in Neighbour Day events, or by simply having a chat with their neighbour. The City of Kwinana confirmed eight events would be held to promote Neighbour Day. A Dinner on The Strand event will be held in Wellard on March 22 from 5.30pm. People are encouraged to bring a plate and meet their neighbours to celebrate Harmony Week and Neighbour Day. Multicultural performances from community groups and art activities will be on offer. On Sunday, March 31, the Casuarina and Wellard-East Progress Association will offer a free sausage sizzle and drinks at the Casuarina Wellard Hall and oval from 10am to 2pm. The local volunteer bushfire bridge will make an appearance and entertainment will be provided by Mad Cow Entertainment WA. The Medina Residents Group will hold an event on March 31 at the Harry McGuigan Park from 11am. The Honeywood Residents Group will hold its event from 4pm-8pm on the Wandi Playing Fields on March 30. For more details, visit their respective Facebook pages.